Christmas is a time when we are called to remember that God sent His only begotten Son to give His life for each of us. God is love, and Jesus defined that love saying “Greater love has no one than this, than to lay down one’s life for his friends.” (John 15:13 NKJV). Dr. Martin Luther King Jr. was a man who lived to love his fellow human beings and he paid the price of laying down his life in the cause of affirming that “all people are created equal”. As we celebrate this Christmas we know that we are to enjoy it in a spirit of love, joy and peace towards all people. 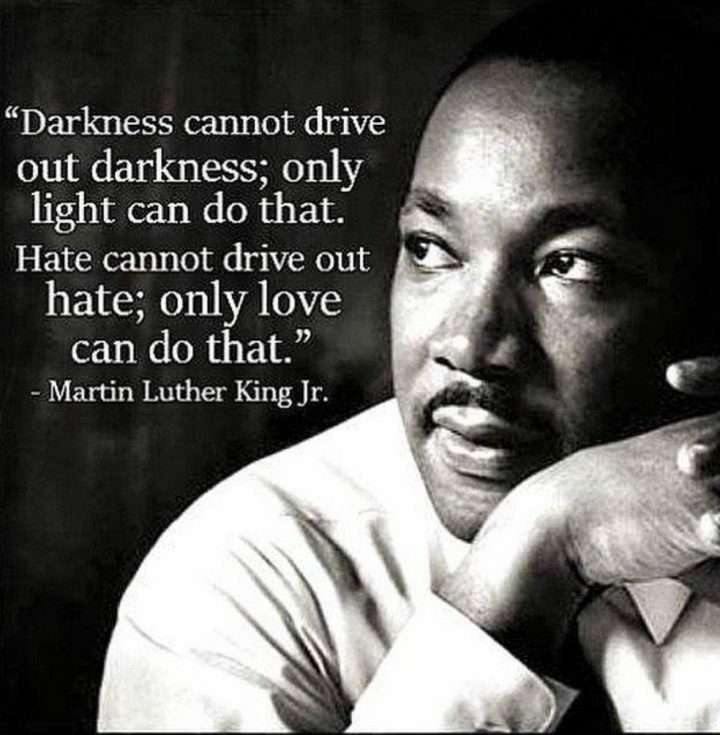 Martin Luther King Jr. expresses the call to love in one of his most important statements. “The ultimate weakness of violence is that it is a descending spiral begetting the very thing it seeks to destroy. Instead of diminishing evil, it multiplies it. You may murder the liar, but you cannot murder the lie, nor establish the truth. You may murder the hater, but you do not murder hate, nor establish love. Returning violence for violence multiplies violence, adding deeper darkness to a night already devoid of stars. Darkness cannot drive out darkness, only light can do that. Hate cannot drive out hate; only love can do that.” Martin Luther King, Jr. So as we celebrate Christmas this year let us do it in a spirit of love so that each of us may be a light in the darkness and thus that the darkness shall be driven out.